No more playing dot to dot. No more pain or discomfort for your patients. 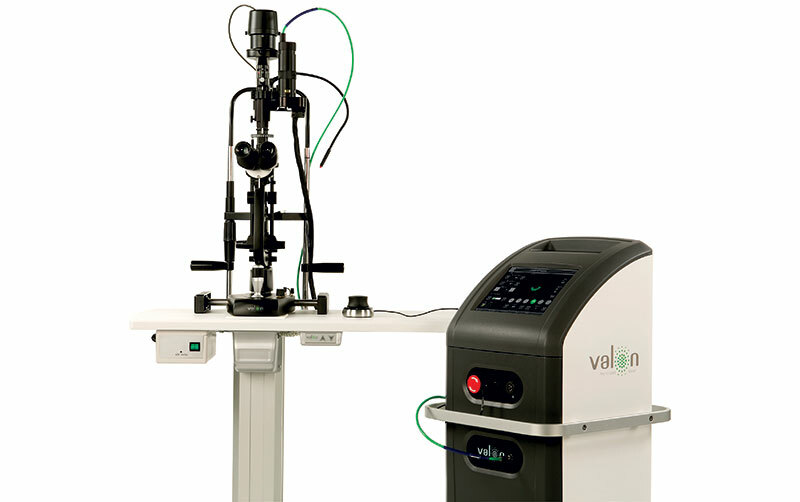 Valon allows you to perform retinal surgery the way you’ve always wanted. The power to heal is literally in the palm of your hand with Valon’s state-of-the-art controller. The interaction between controller and procedure is symphonic, a melding of passion with performance. Choose from a range of pattern scans for more effective targeting and reduced procedure time. Valon’s unique head-up display means you can keep looking at the retina as you refine parameters in real time. You have the satisfaction of seeing your work unfold quickly before your eyes. It is beautiful to use. Valon uses less energy more accurately for painless procedures. It allows you to individualise the amount of energy for each patient, enhancing your abilities and delighting your patients. Valon is state-of-the-art, but within reach of every surgeon, and is designed to complement existing equipment. You have the choice of purchasing Valon with or without a slit lamp, and it can be used with endoprobes or an LIO. You don’t have to fit in with Valon, it fits in with you.